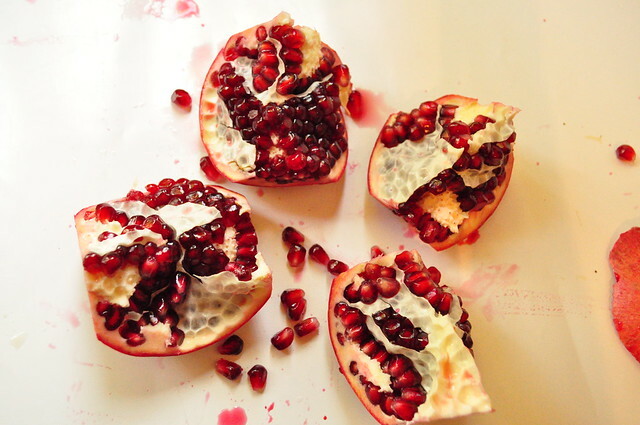 lydia purple: How to open a pomegranate? 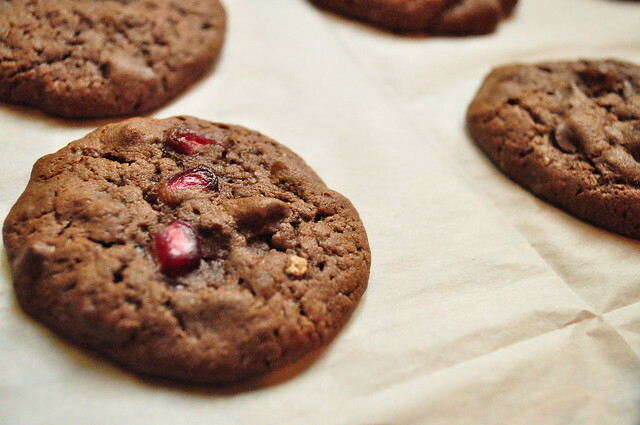 I just made these addictive double dark chocolate pomegranate cookies. The recipe is from Dana. Click here to go directly to the recipe. I can't stop eating them. OMG! So anyways, while I had to open a pomegranate for the recipe, thought I might as well snap a few shots and show you how to open a pomegranate without creating a giant juicy war-like scene mess in your kitchen. 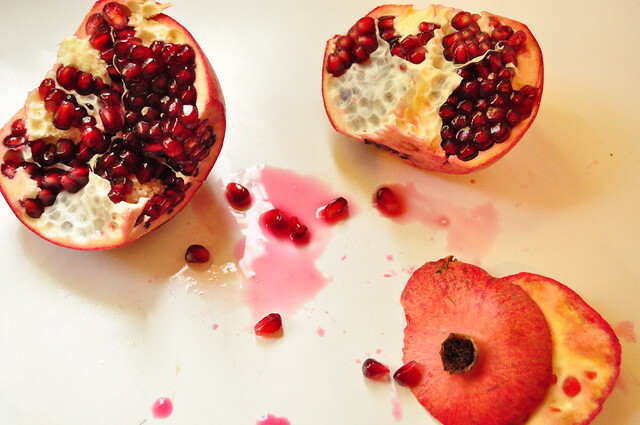 Most people just cut the pomegranate in half (and inevitable also some of the seeds who than start "bleeding" their juice for happy mess-making). Here is how I do it. STEP 1: Cut of the top and the bottom of the pomegranate. STEP 2: Examine from the top. You can see where the natural borders of the clusters are. Cut into 3-4 of the broader white spaces. 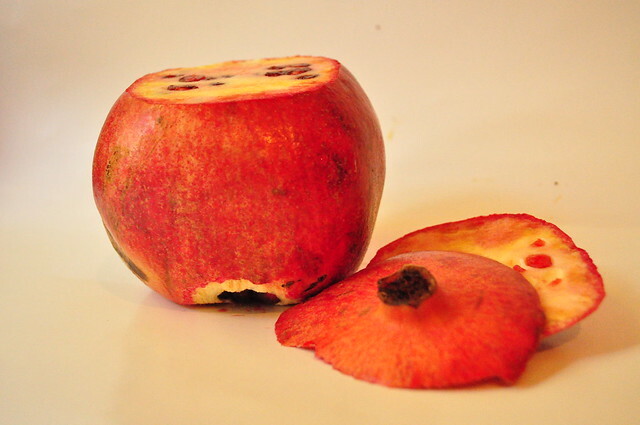 Don't cut deep into the pomegranate just into the outer shell. The deeper you cut the more seeds will spread there juice!. STEP 3: Pull the pieces apart along the cuts. 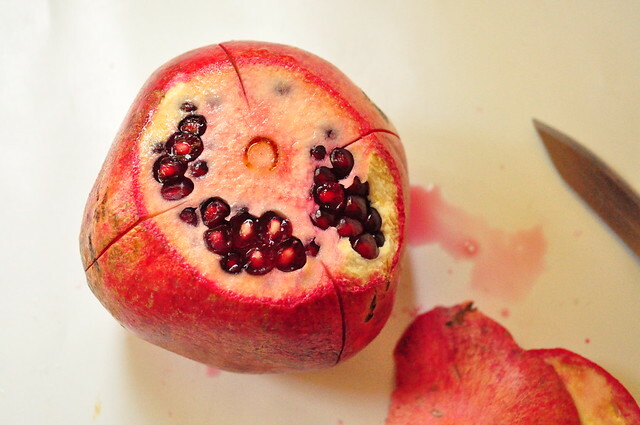 That should go easy, since you are breaking the pomegranate apart along its natural sections. STEP 4: No work section by section over a bowl of water and remove all the seeds... the remaining white skins will float on top for easy removal. The seeds should more or less fall of on their own if you work along the sections. STEP 5: Take out the skins from the water and rinse. 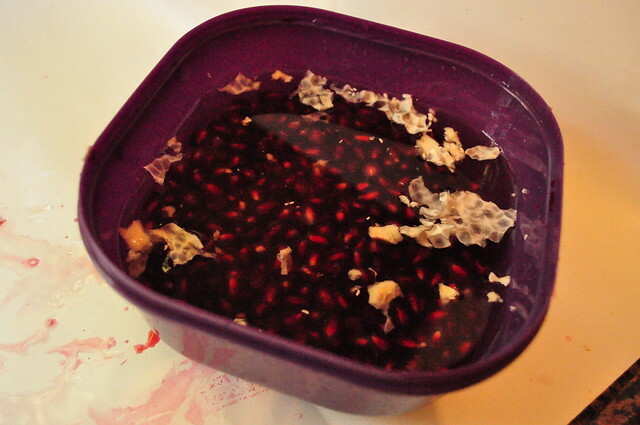 STEP 6: Enjoy your heap of pomegranate seeds in a clean kitchen. 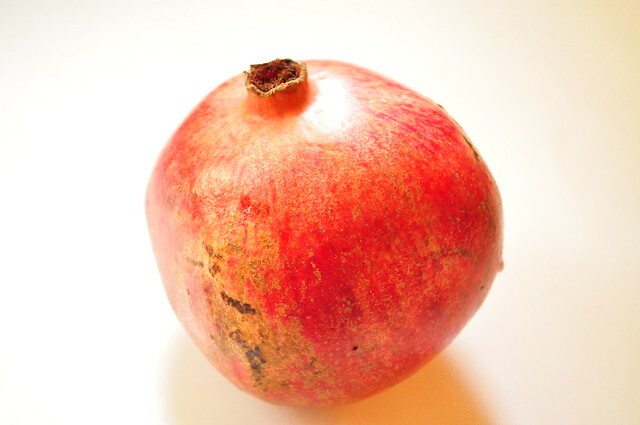 Bonus information: The darker red the pomegranate on the outside, the sourer the taste. 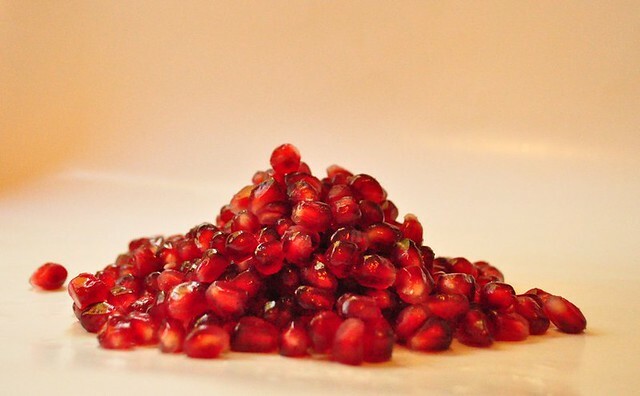 If you prefer the sweeter pomegranates don't get tricked by the nice red color... buy the pale looking ones. They taste sweeter!